Our product range includes a wide range of minions cartoon unique table & desk lamp decorative gift item, minions face cartoon table/ desk lamp decorative gift item and dancing minion cartoon table & desk lamp decorative gift item. Minions Cartoon Table Lamp are specially designed to make it much more attractive and decorative. These Minions Cartoon Table Lamp are manufactured using one of the most durable and exclusive quality raw materials which makes it much sturdy and long lasting. Our Minions Cartoon Table Lamp are available for our clients at a very reasonable range of prices.
" Minions Cartoon Table Lamp Minion Baby Boys Despicable Me Flexible Table Lamp For Studying , Desk Lamp, Portable Lamp, Emergency Lamp,Night Lamp Unique & Decorative Corporate Gift Items for Office Décor Diwali Gifts "
Minions Face Cartoon Table Lamp are specially designed to make it much more attractive and decorative. These Minions Face Cartoon Table Lamp are manufactured using one of the most durable and exclusive quality raw materials which makes it much sturdy and long lasting. 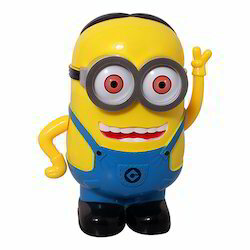 Our Minions Face Cartoon Table Lamp are available for our clients at a very reasonable range of prices.
" Minions Face Cartoon Table Lamp Minion Baby Boys Despicable Me Flexible Table Lamp For Studying , Desk Lamp, Portable Lamp, Emergency Lamp,Night Lamp Unique & Decorative Corporate Gift Items for Office Décor Diwali Gifts"
Dancing Minion Cartoon Table Lamp are specially designed to make it much more attractive and decorative. These Dancing Minion Cartoon Table Lamp are manufactured using one of the most durable and exclusive quality raw materials which makes it much sturdy and long lasting. 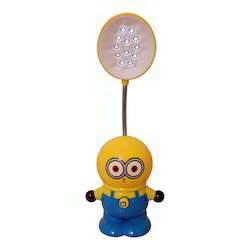 Our Dancing Minion Cartoon Table Lamp are available for our clients at a very reasonable range of prices.
" Dancing Minion Cartoon Table Lamp Minion Baby Boys Despicable Me Flexible Table Lamp For Studying , Desk Lamp, Portable Lamp, Emergency Lamp,Night Lamp Unique & Decorative Corporate Gift Items for Office Décor Diwali Gifts"